Officials of Skye Bank Plc have informed the Economic and Financial Crimes Commission (EFCC) of newly discovered accounts owned by Mrs. Patience Jonathan, wife of former President Goodluck Jonathan. The accounts are said to have an aggregate balance of $40million. 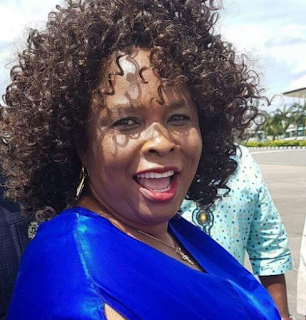 Last month, the EFCC froze Mrs. Jonathan's $30.1million in various accounts domiciled in the same bank. Sources at the bank told SaharaReporters that the latest discoveries were brought to EFCC's attention by Skye Bank officials angered by the limp explanations on how she came about such a huge sum in the multiple domiciliary accounts earlier frozen by the EFCC. The newly discovered accounts were said to have been opened by Mrs. Jonathan, using fake names, and abetted by crooked bank officials. The EFCC, SaharaReporters learnt, has obtained a court order to freeze the accounts. Since the discovery of the bank accounts, Mrs. Jonathan has taken desperate measures to retrieve the illegal loot from EFCC's grip, with the most recent being the hiring a lawyer, Barrister Osuagwu Ugochukwu, to write to the Code of Conduct Bureau (CCB) requesting it to confirm if Mrs. Jonathan and her husband declared the monies after leaving the Presidency in 2015. Osuagwu had employed the same trick in the case of the Chief of Army Staff, General Tukur Yusuf Buratai, whom the CCB said declared the $1.5million properties acquired in Dubai, apparently using Nigerian Army funds. However, a letter recently obtained by SaharaReporters shows that the CCB never screened General Buratai.